SEO or Search Engine Optimization has been running through the web for many years now and it continues bringing effective results to website rankings. It constantly creates trends as to what and how marketing in a virtual world should be. From the time it first emerged on the Internet, there seems to be no end in sight for it. However, vast changes on the internet seem to indicate that SEO might become a thing of the past. 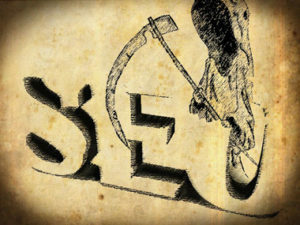 Will SEO soon find its demise and be gone forever? According to an Infographic, “The Death of SEO,” it claims that SEO is dead and indicates the reasons from the who, why, how, and what. However, it would seem that from the first time SEO was declared dead in 1997, through the Google Florida update of 2003, up to the Google Panda and Penguin updates, it would seem that SEO is still standing straight and tall. As it has done in the past, organic search provided by SEO is still making money. SEO still drives traffic to websites that passes through all Google requirements. For all this traffic, competition will always be there. As competition exists, many people and companies would still and always spread millions to win it. That will be speaking more of money. Not all people are into SEO or understand its processes. The use of keywords is actually not solely intended just for SEO alone as it is for marketing reasons. Keywords are the speak and spell language of potential customers looking for your products and services. These are the words and phrases they type to look for what they need since they do not know who you are or what your company’s name is. Constant change is evolving and still there’s nothing in the internet world that has the greatest ability to adapt like SEO. The consistent need to assist the searching process and the data algorithm of search engines gives SEO reason to live on. To maintain the visibility and to scale keywords that are used in your website pages, the continued use of SEO is needed. Continue living and practicing SEO to improve your digital landscape.